So excited that Aja is officially 9 years old. She was so blessed to have over 40 Girls come to her party to share her special day. 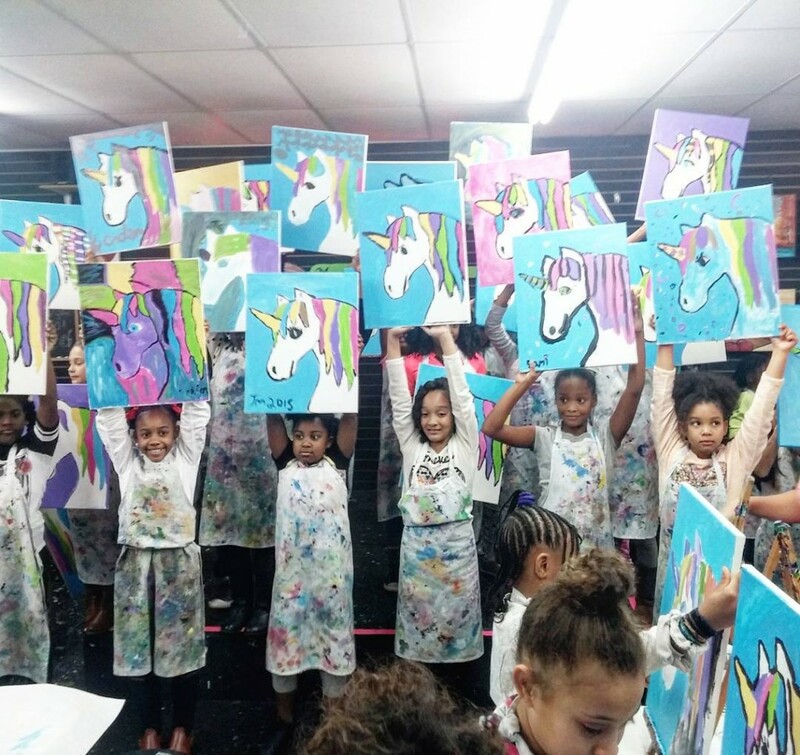 She wanted to do a Painting party and found a nice place that can support her large party. The place we chose was called Master Piece Mixers Paint and Party. We was very concern that the crowd of kids would be overwhelming for the staff. But they did a very good job and made every accommodations for us.